We have some of the best guides in Laikipia and are very proud of our team. 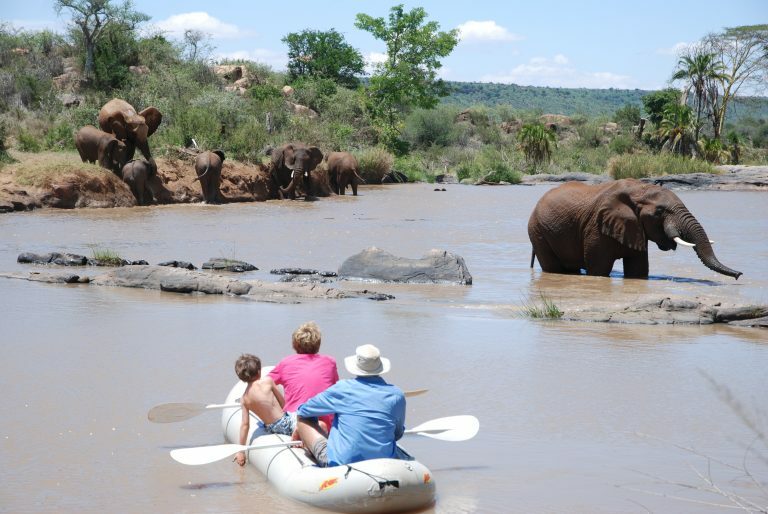 We have spent our professional lives in the bush on safari and sharing our experience with our guests is a vocation. 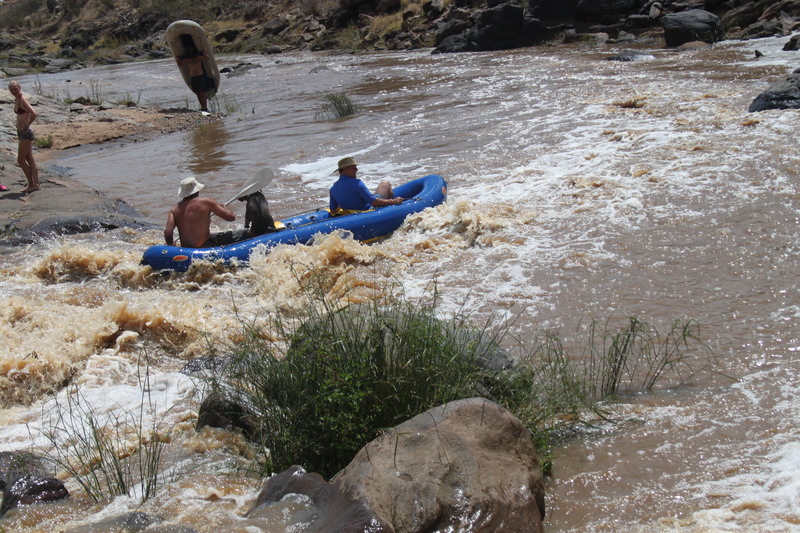 Activities and the quality of guiding are essential, and we strive to fill your days with adventure as well as allowing the bush to unfold naturally with all it has to offer. Activities are discussed with you daily, and we tailor experiences to suit each group, their interests, age, fitness to ensure you get the most of your time in Laikipia. Specialists in walking safaris with 25 years experience behind us, we offer morning and afternoon walks, or you can walk to a fly-camp set up just for you, and sleep under the stars before walking back to camp the next morning. We tailor our walks to suit all abilities and the route is adjusted. Short walks for children in open areas and with a focus on bones, tracks and droppings are enlightening. 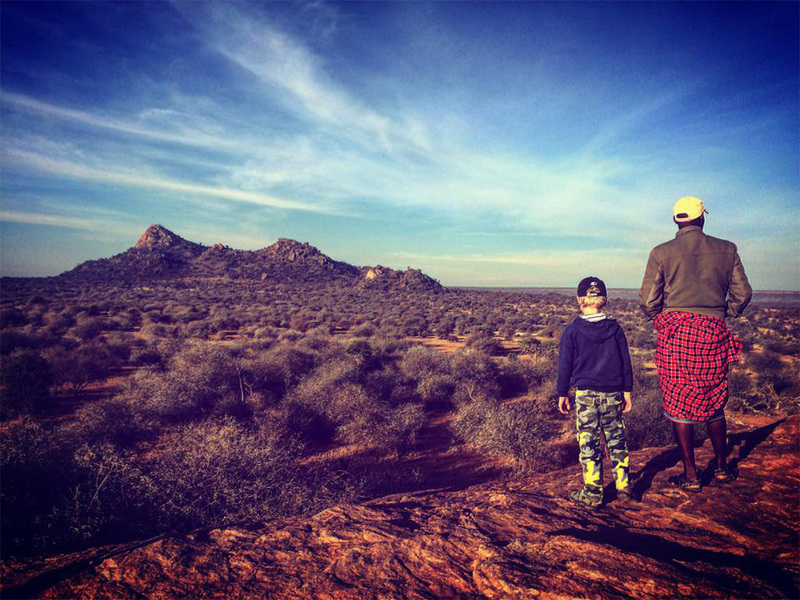 Climbing up rocky hills and spotting wildlife on foot as a family is something everyone can do together. Older guests can also do shorter or gentle walks along the river which is an area with lots of beautiful birds. Multi-day walks in Laikipia can be booked lasting anything from 3 days to a week. Carrying just what we need each day the camp is moved ahead by our team. Contact us for more details. Are the best way to cover ground and see the most wildlife. 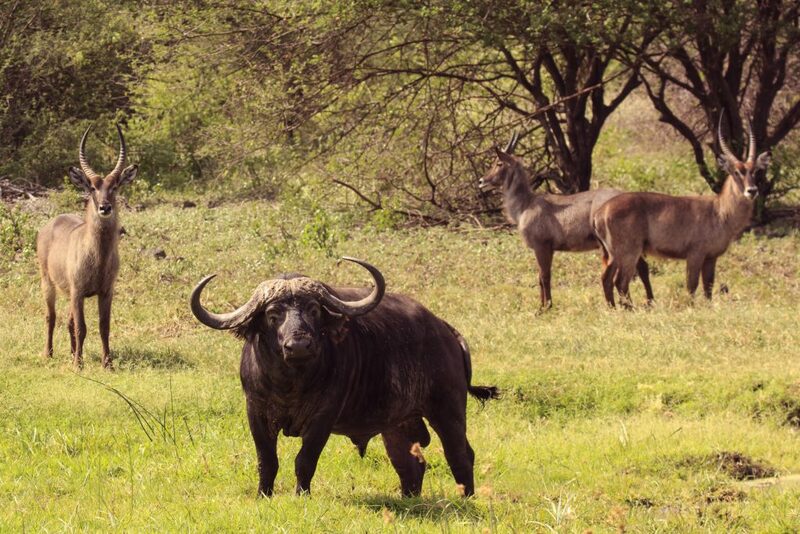 The area has excellent populations of elephant, reticulated giraffe, Grevy’s zebra, common zebra, warthog, buffalo, hippo and many antelope species. Lions, leopards and wild dogs are often seen. Can unearth striped hyena, spotted hyena, aardwolf, aardvark, zorilla, porcupine, genet, white-tailed mongoose and other small mammals. We have a couple of camera traps which we set up to capture wildlife at night and this can be an exciting project whilst you are staying if we find an animal kill or a den. The ability to get out of the vehicle and photograph elephants and other animals from ground level has produced some exceptional photographs over the years and we are always keen to get you into the right spots to photograph wildlife successfully. We have guided many groups of photographers and we have many open vehicles, some equipped with a plank to lean a large lens on, and we can provide beans for your beanbag. 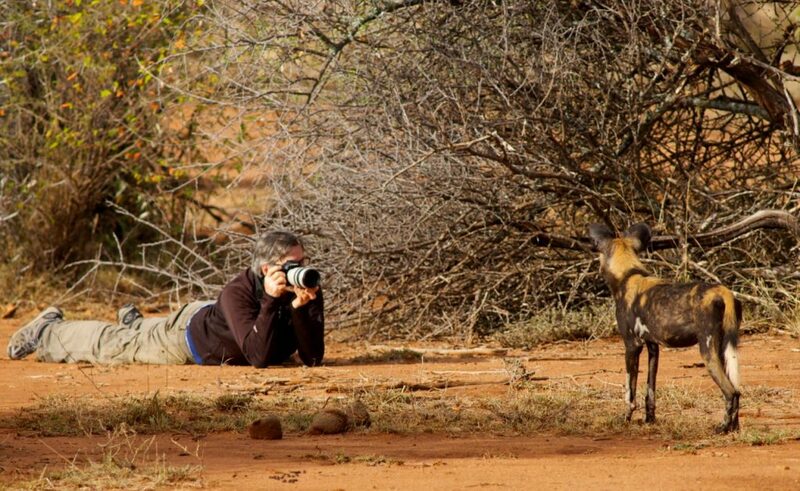 At times we have some of the best wild dog sightings in Africa in this area. The pack we followed for ten years suffered from an outbreak of canine distemper in 2017 which almost wiped them out but they recovered and have since had two litters of pups. The wild dogs are not always in the immediate area, but they often hunt in this area and can be found daily at times. If you are keen to see them and photograph them please contact us for an update on their movements. Chances of seeing them in 2018 have been good and we are delighted to see the population expanding again. We do not wish to raise expectation but we are hopeful of the recovery of wild dogs in Laikipia which at times is one of the strongest populations in Africa. After an early morning start and a full morning in the bush driving or walking, often both, we stop for brunch at 11. From a glade of shady acacia trees or a thatched hide overlooking a dam, brunch is served often overlooking herds of elephants taking it in turns to drink. Our aim is to keep you out in the bush as much as possible and not to keep returning to camp for endless meals when this time could be spent out in the wilderness. Swimming in the river, jumping off rocks into the river, rafting and paddling around pools when the water is high enough are very popular with families and those who just love water. Fishing for tilapia and catfish using a spinning rod is great fun and an excuse to spend time on the river. Wildlife often appears and it’s a peaceful way to spend an afternoon sitting still but with a purpose. 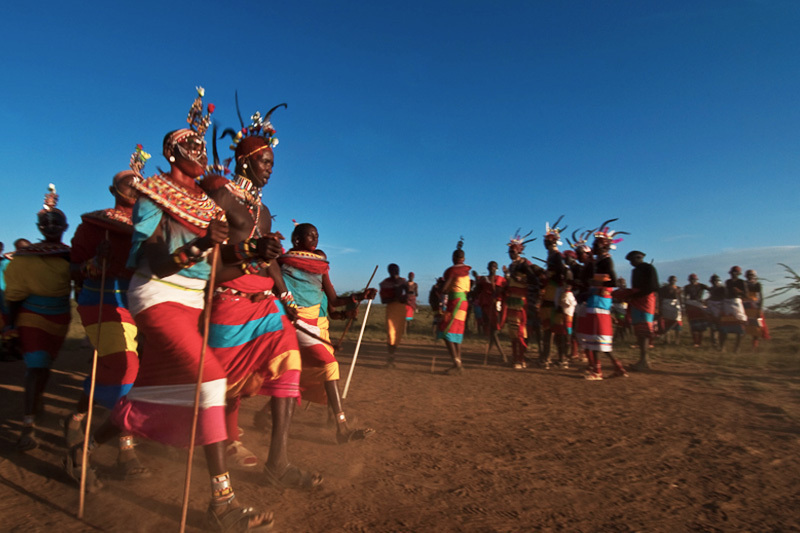 Some of our staff come from the local Samburu area and if you would like to meet their family or visit a local school, we would be happy to arrange this for you. We do not have a tourist village set up for visitors, we encourage a natural encounter with people from the local area for anyone interested. If you would like to visit a school this can also be arranged. A suggested donation of $50 – $100 per group depending on the size of the party is a useful contribution to purchasing books, stationary, sport equipment and even furniture for the school. Sometimes visitors bring school materials with them as a gift, this is very welcome but not expected. If you would like advice on what would be a useful donation please contact us. There are many charities in Laikipia that can be visited including orphanages, medical outreach organisations, mobile clinics, forest protection teams, and many more. If you have a particular interest or skill and wish to help, drop us an email before your visit to Kenya and if we can we will put you in touch with one of these charities.